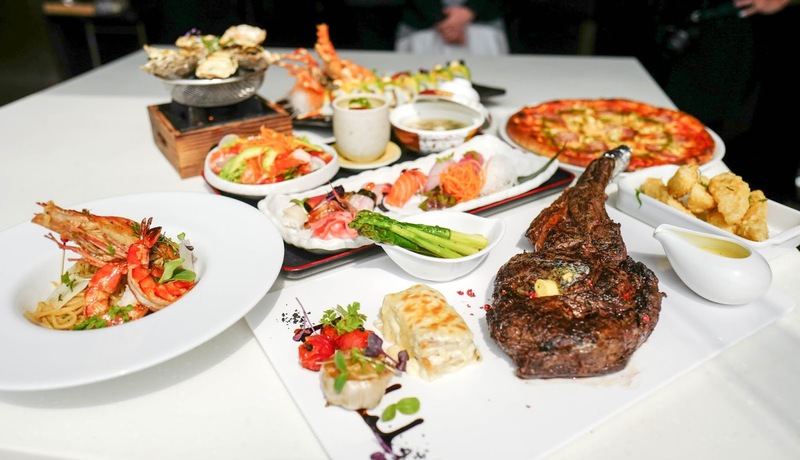 Two veteran chefs, two venerable cuisines, in one convenient venue: La Cucina x Gohan promises recipes that embrace inspirations from both the Mediterranean farms and coastlines and the Japanese meadows and oceans, combining massive steaks and huge sushi rolls, pastas and sashimi, pizzas and unagi in a single epic feast. 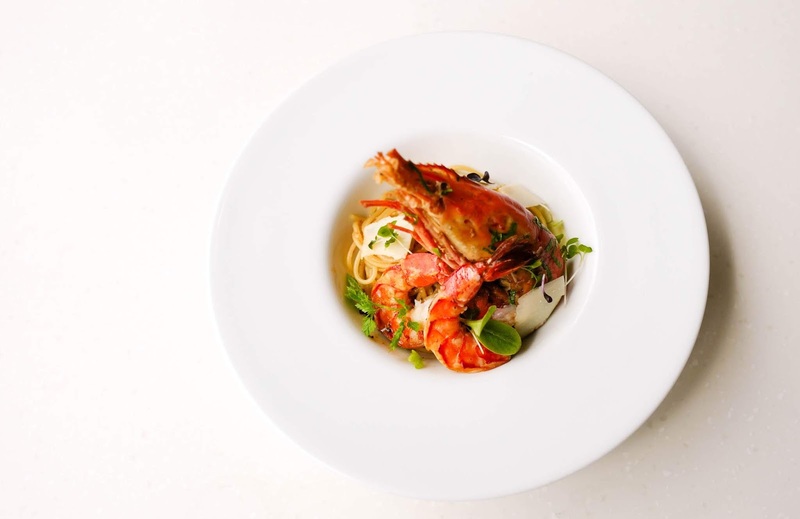 It's a well-executed initiative by Pullman Kuala Lumpur Bangsar to bring together the best of East and West; step into this welcoming lobby-level restaurant and you'll receive both the Mediterranean and Japanese menus to order from. 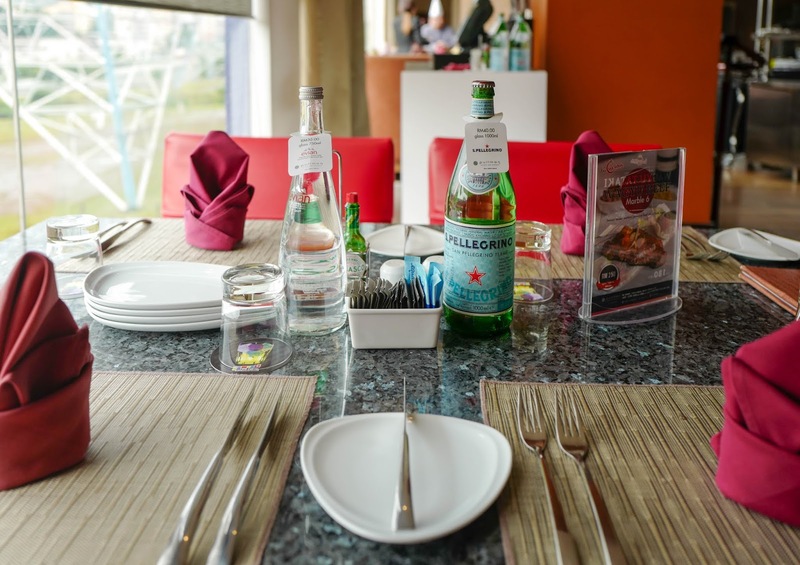 Make your selection, sit back and watch the culinary squad work its sizzling magic in a very open kitchen on one corner of this space. 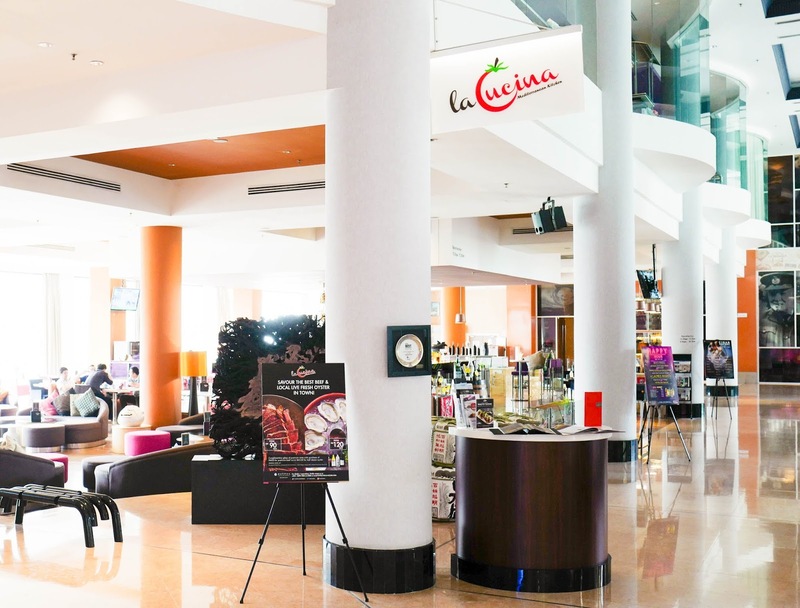 The first component of the repertoire, La Cucina, is supervised by chef Mohd Faiz, focusing on produce like prime cuts of meat and fresh seafood. 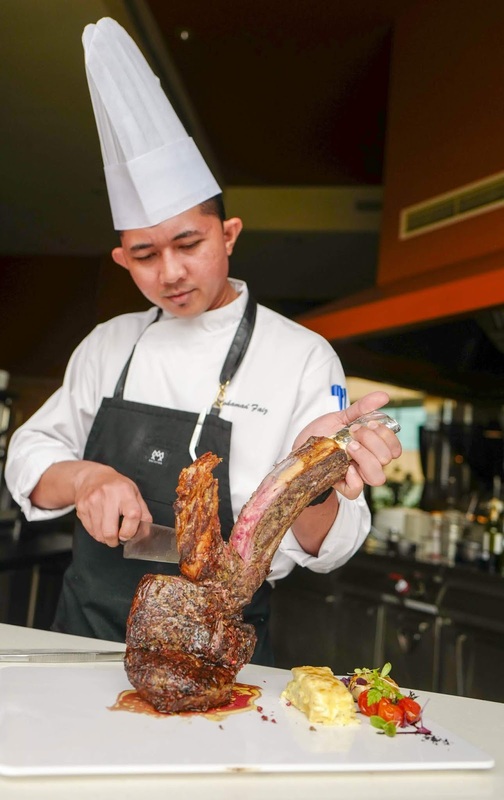 At the top of the list, the tomahawk steak is a sure-fire should-order, currently the on-trend choice of beef across KL. 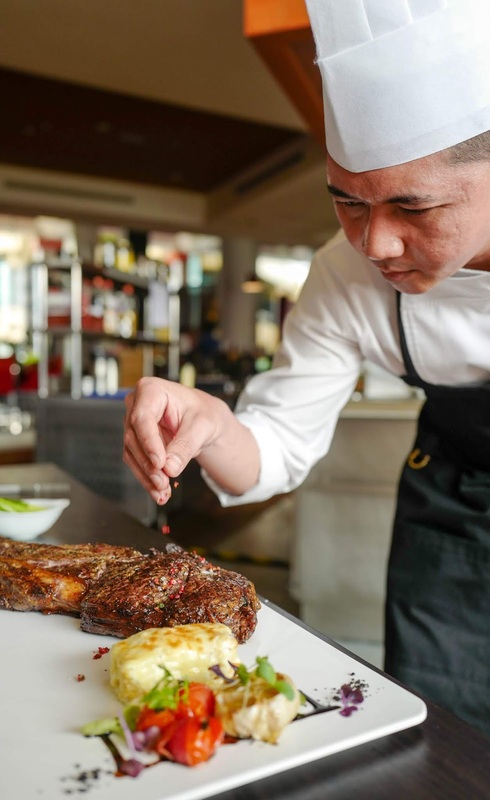 La Cucina does juicy justice to this Australian Black Angus on-the-bone rib steak, skillfully seared on the grill and carefully finished off in the oven, sprinkled with pink peppercorn and rock salt. 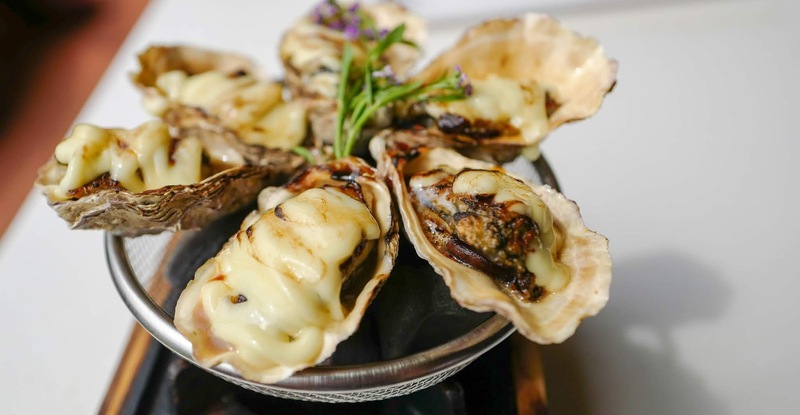 It's cooked to a terrific tenderness and seasoned sparingly to retain its full purity of flavour, so you can savour it easily on its own (or pick a pairing sauce, such as Rosemary Mustard, Béarnaise or Red Wine Gravy). 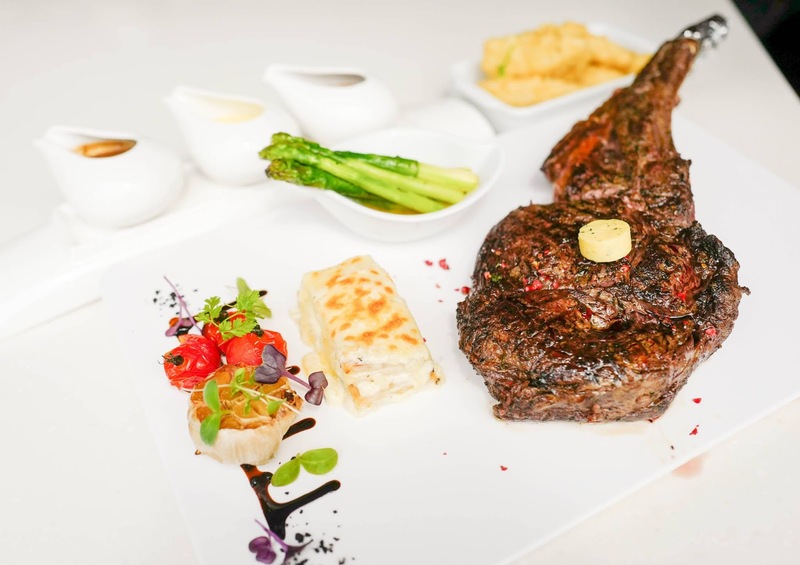 The steak comes with your option of starch too (Mashed Potatoes, Steak Fries, Baked Potatoes, or Pommes Anna French-style sliced layered potatoes). 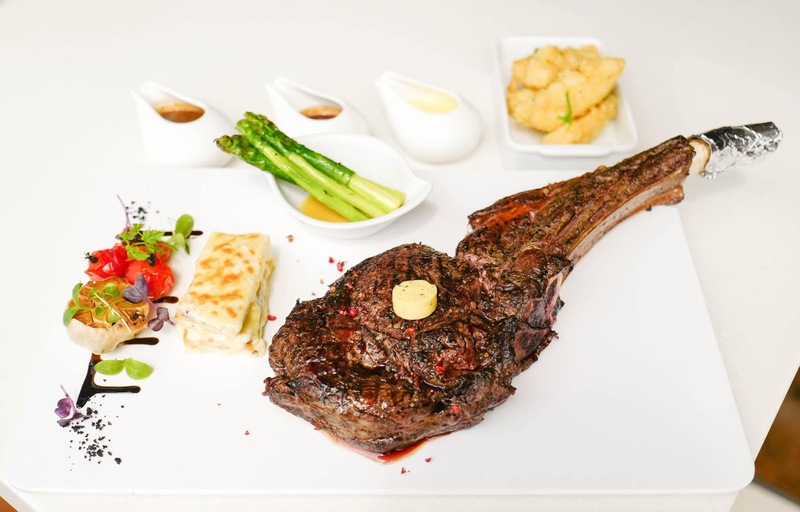 The serving could completely stuff two hungry eaters, making it a worthwhile bovine bargain at RM260 (all prices listed here are nett), costing considerably less than what many other restaurants in the Klang Valley charge for tomahawks. 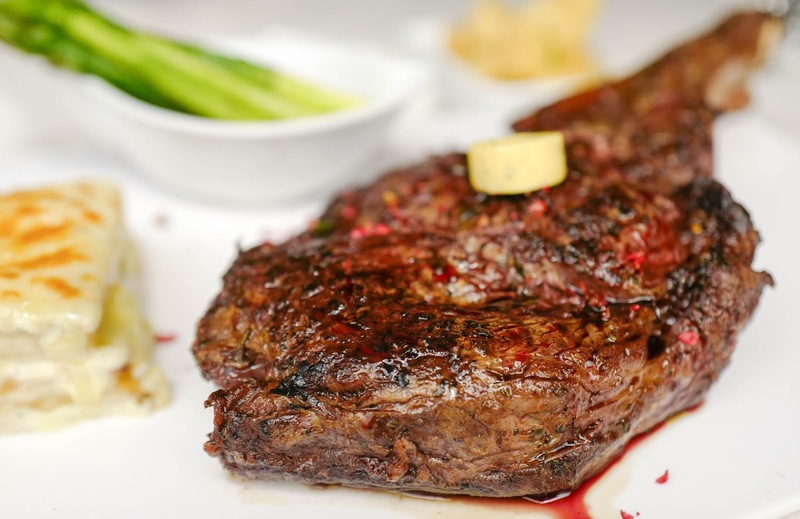 But if you need a smaller cut, other steaks are also available, including a Australian Wagyu Marble Score 7 range. 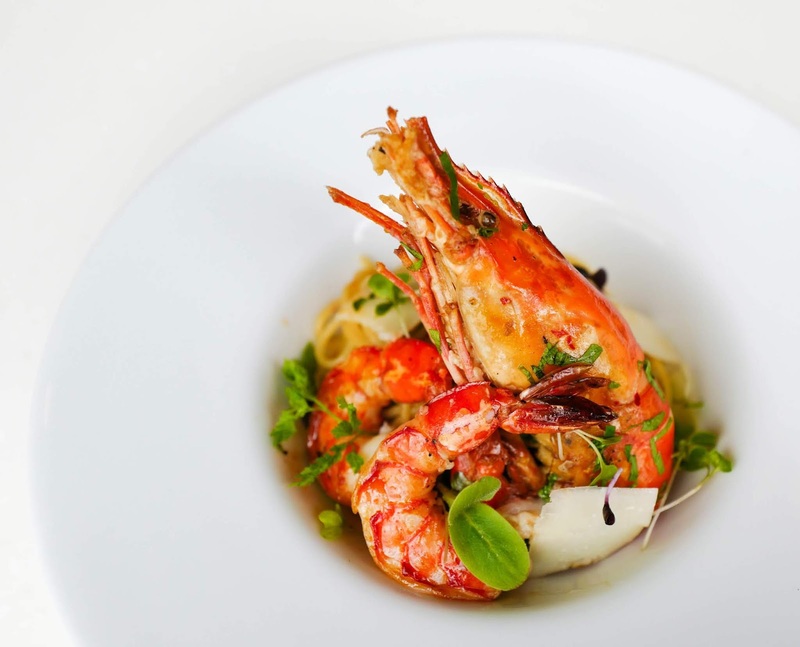 Fans of Italian fare will relish the Freshwater Prawn Aglio Olio, with the chunky grilled crustaceans taking centre stage on this strikingly fine plate of pasta, flavoured further with garlic, chilli flakes, chopped parsley and Parmesan cheese (RM43). 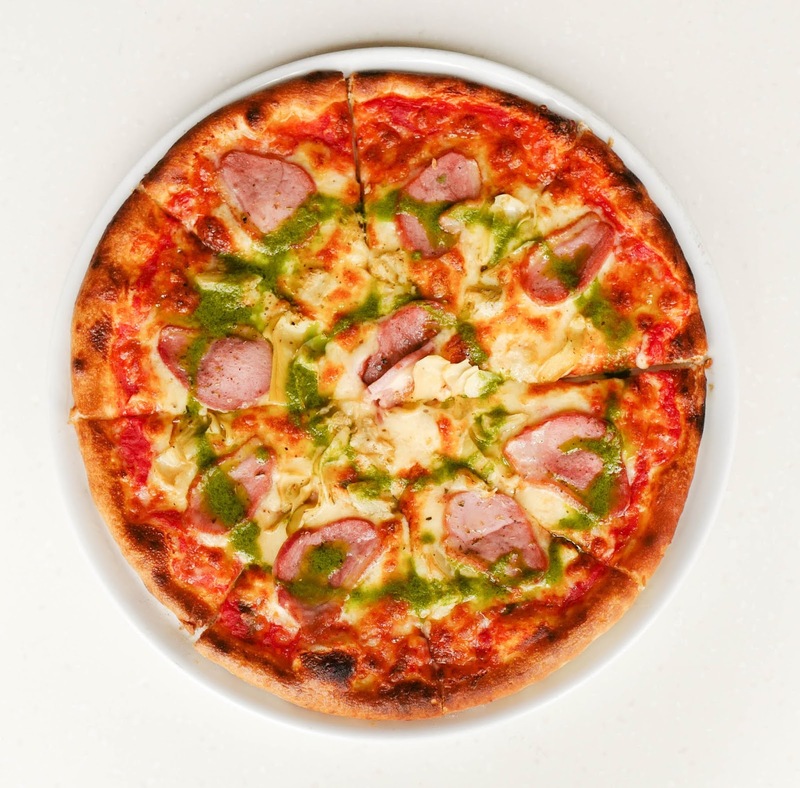 Alternatively, for a princely pizza to share, try the one topped with Smoked Duck; the savoury meat is balanced by lively vegetarian elements like artichoke hearts and basil pesto on a satisfyingly crisp crust (RM38). La dolce vita in the centre of Pantai Baharu. 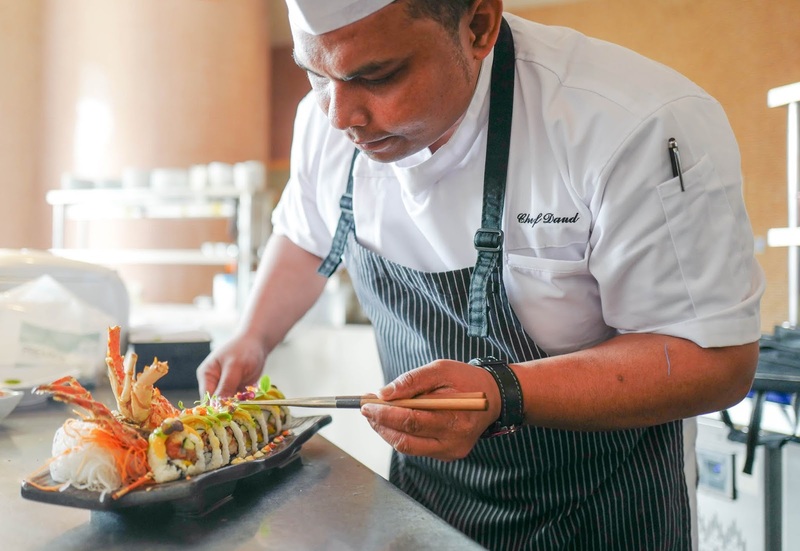 Moving on to the menu of Gohan, customers will uncover the talents of chef Daud, who embodies a remarkable 26 years of experience in the Japanese gastronomic arts. 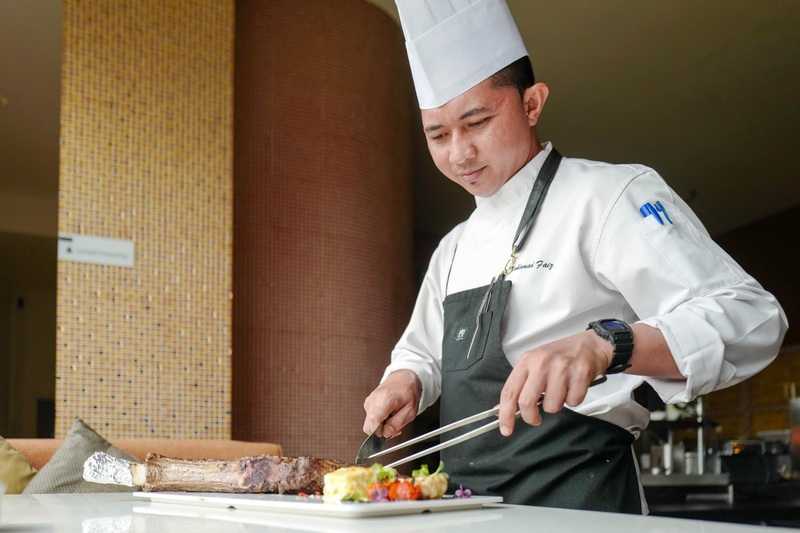 He began his career at the age of 17 as a teppanyaki cook, working his way up the rungs of restaurants and hotels, even accomplishing a podium finish in a Battle of the Chefs competition in 2007. 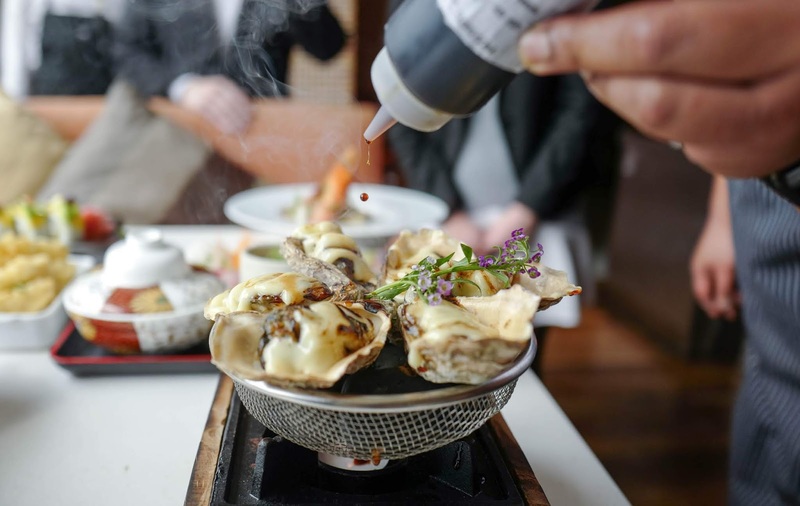 Chef Daud's signature speciality is the Oyster Motoyaki Gratin, which he keeps fine-tuning through the years to keep it in tune with patrons' evolving palates. 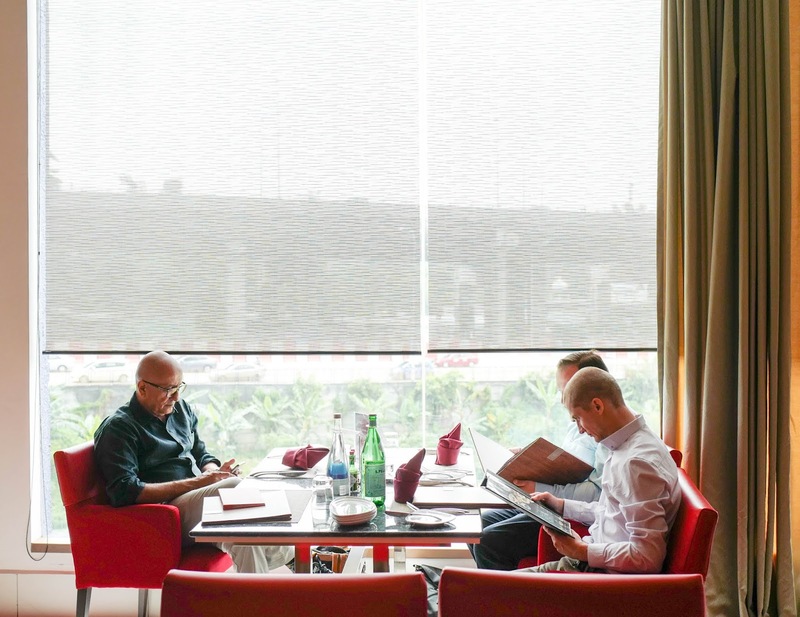 It remains a staple in every one of his menus. 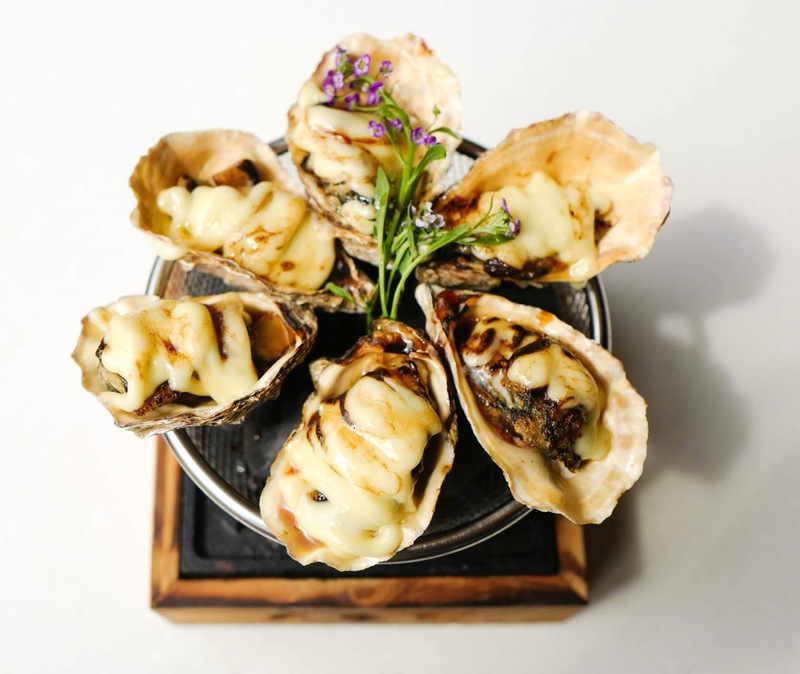 Digging into this reaffirms his decision - the baked oysters burst with a creamy, mayo-fuelled, cheese-complemented sweet-brininess that'll make you want to have another luscious piece immediately (six for RM120, or a dozen at RM220). 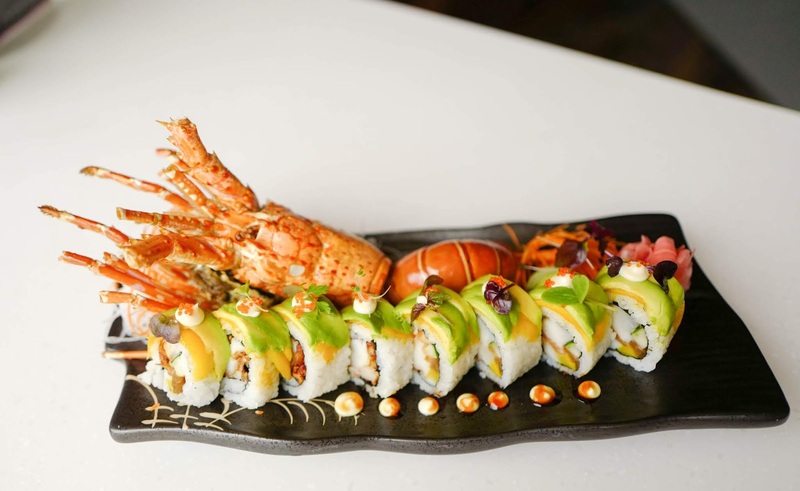 We bow down to King Dragon Roll, in which a King Lobster becomes bosom buddies with avocado, mango, fish roe,and sweet garlic teriyaki sauce. 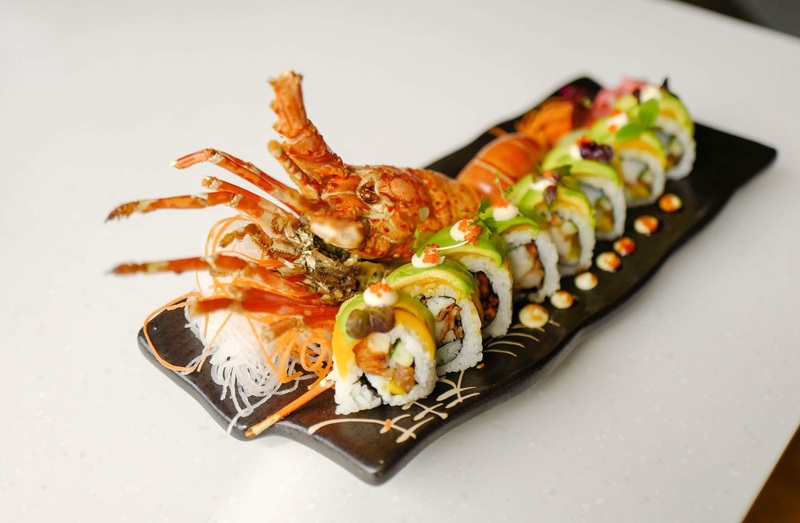 For this mighty maki, the lobster meat is deep-fried for a firm bite on the exterior, but the flesh inside remains sumptuous for a pleasant textural contrast. A fit-for-royals platter of eight pieces clocks in at RM130; each piece is more than a morsel, it's practically a handful. 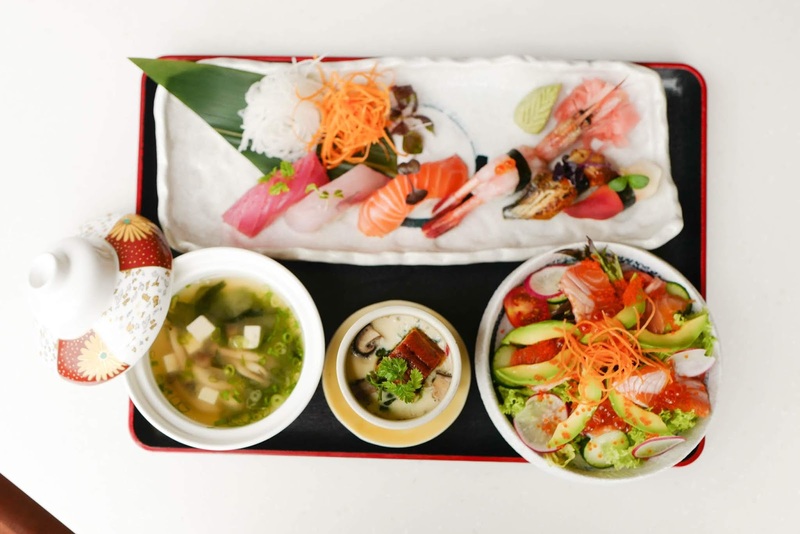 We love the meticulous plating for this sushi roll too, scoring gloriously for presentation. 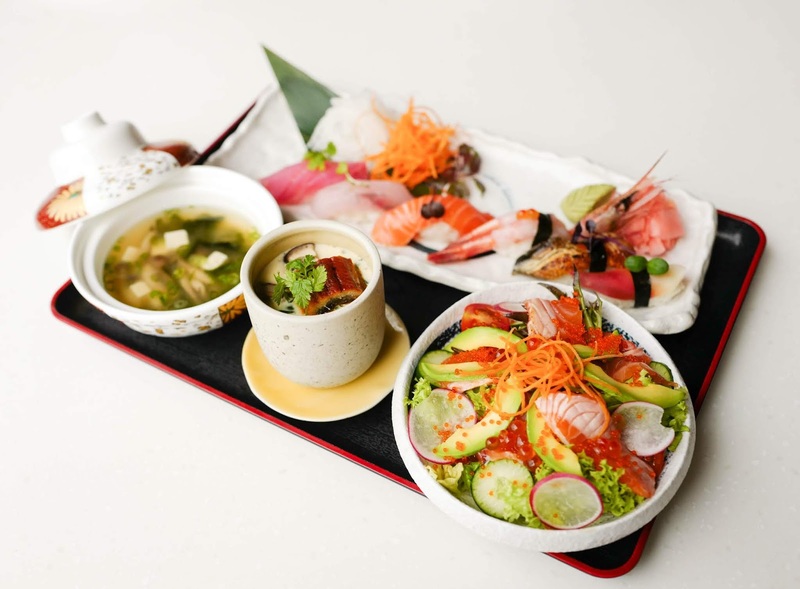 This is a treat for customers who want to dive into the delicate nuances of Japan's culinary heritage, with subtle, pure flavours and textures in each component. Considering the quality of ingredients intricately assembled in one bountiful spread, representing the diversity of Japanese food preparations, from raw to cooked material, with an emphasis on produce from both sea and land, it's pretty reasonably priced at RM100, remaining true to the omakase concept of trusting the chef to serve you what's best in season. This is available from now until the end of September. 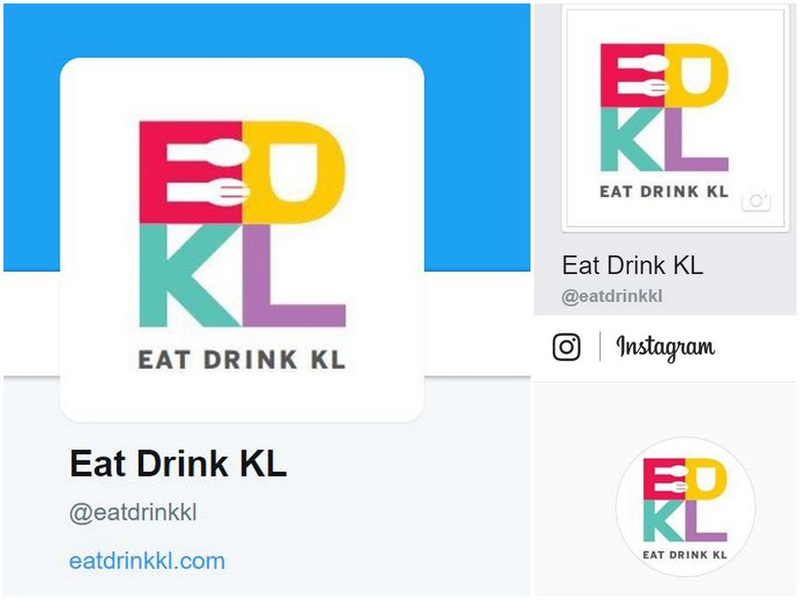 Here's a bonus incentive for wine enthusiasts: For every purchase above RM90 on a single receipt here, the restaurant will be happy to offer you two complimentary glasses of wine from its premium selection, comprising Barwang 'The Wall' Shiraz, Barwang 'The Wall' Chardonnay, Banfi Collepino Toscana IGT, and Placido Pinot Grigio Toscana IGT. 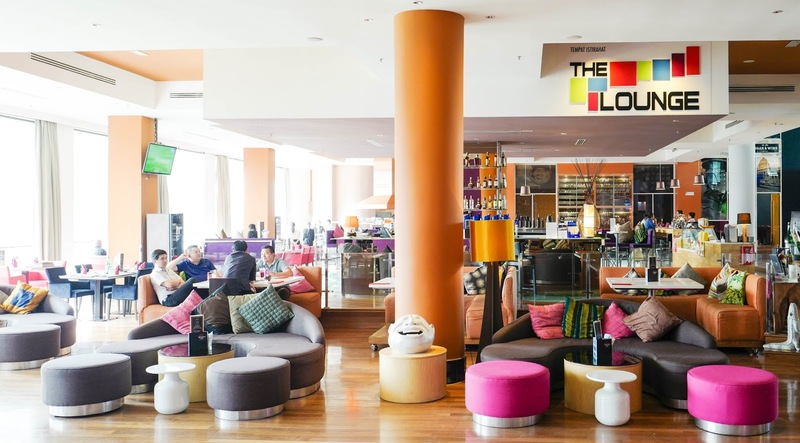 It’s a rare offer that we’d happily check out while the promotion is ongoing. 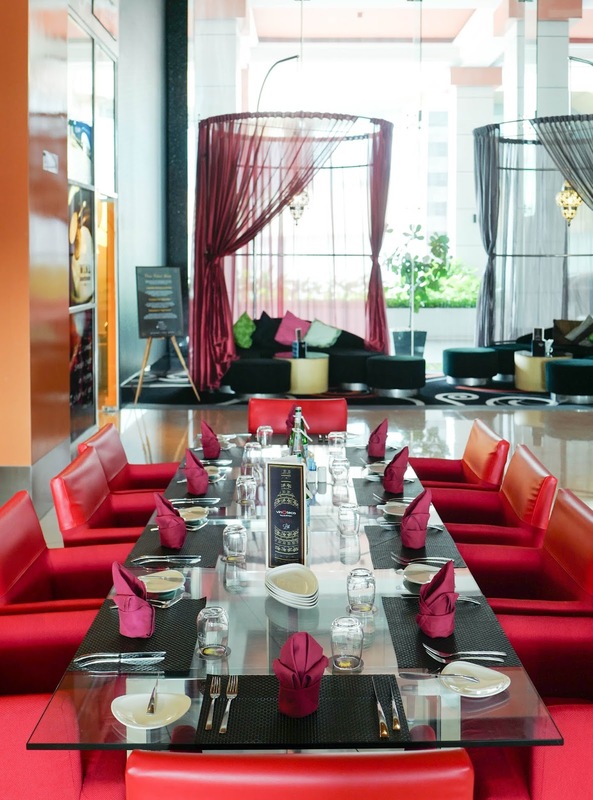 Many thanks to Pullman Kuala Lumpur Bangsar for having us here. 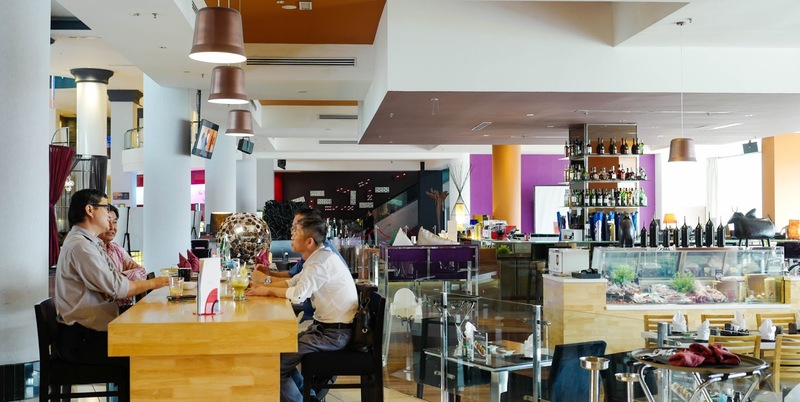 Pullman Kuala Lumpur Bangsar, 1, Jalan Pantai Baharu, Jaya Tower 3, 59200 Kuala Lumpur. 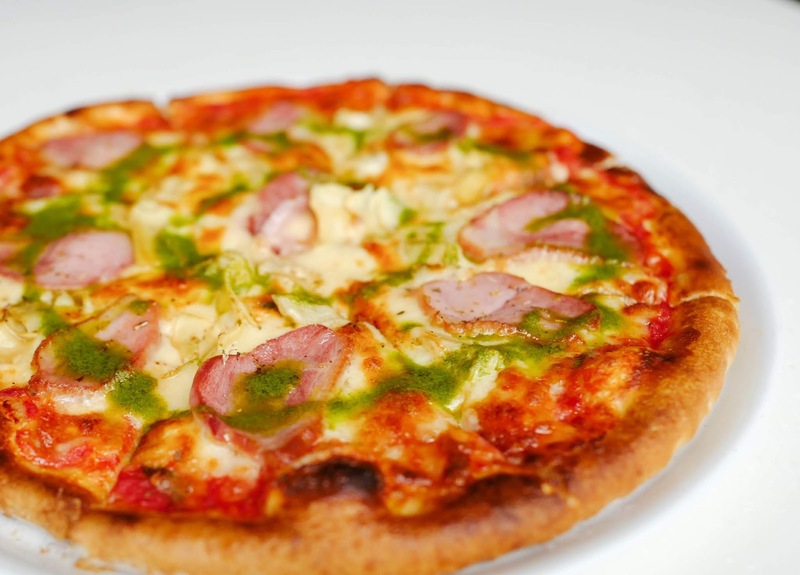 Open for lunch, 12pm-230pm, and dinner, 6-10pm. 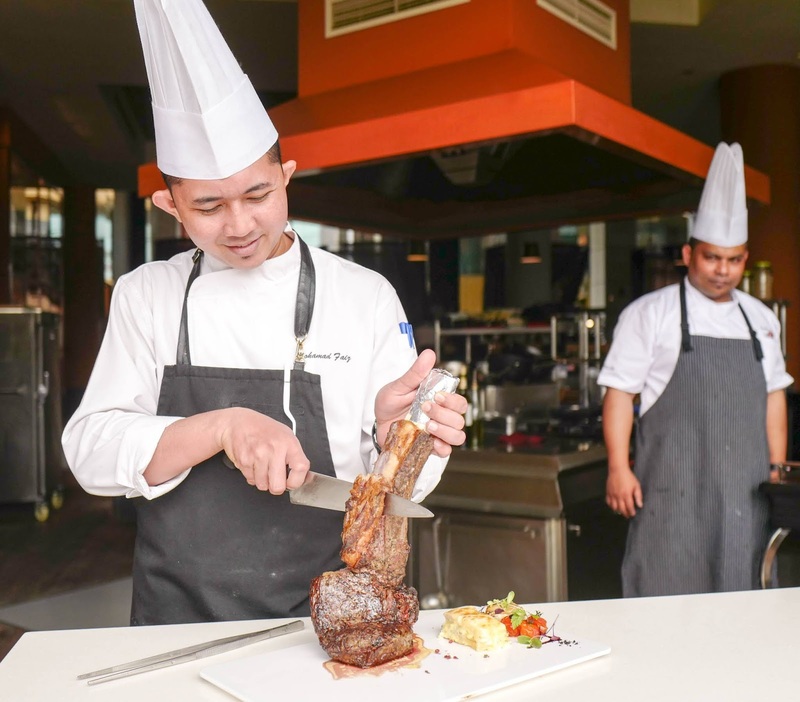 Steaks available daily except Sundays and public holidays. 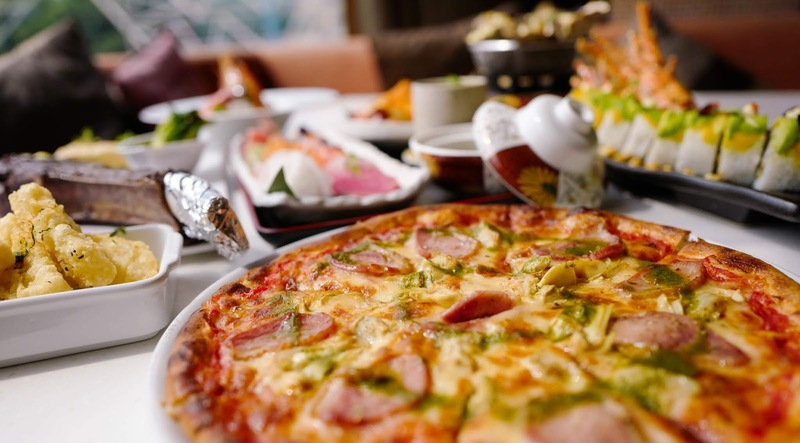 For reservations, call 03-2298-1888 and ask for extension 5006. That King Dragon Roll - bow bow bow! It does look big and packed with ingredients. Looks like there's lots to try here. I am eyeing the tomahawk! Wowwwww!!!! That tomahawk looks so good, absolutely perfect! I'd enjoy a beautifully baked cheese but not the raw one, how about this one you had?